Shirts With Random Triangles: Tray Matthews dismissed from Georgia because of incident in children's literature class. 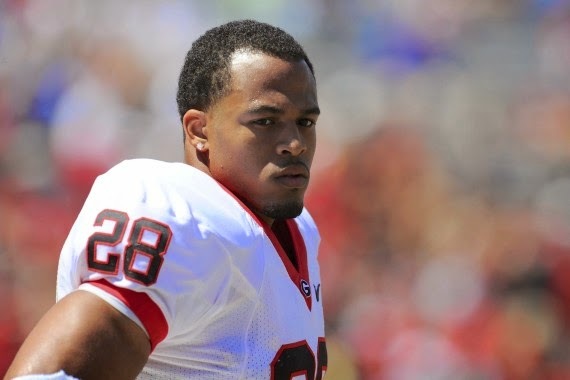 Tray Matthews dismissed from Georgia because of incident in children's literature class. Former Georgia safety Tray Matthews confirmed reports Wednesday night that his dismissal was related to an incident during classes. Matthews confirmed to the Atlanta Journal-Constitution that he had been involved in what's described as a "classroom disruption" during a children's literature class he was attending on Tuesday afternoon. Matthews claims that the incident arose after he and an unidentified Georgia athlete were having what is described as "a loud and distracting conversation." Reports on social media sites claimed Matthews then got into a "verbal altercation" with the class professor. Matthews denied reports that he told a female classmate to "shut up," or that he used profanity at her. He also denied disrespecting the class professor. Georgia head coach Mark Richt dismissed Matthews from the team later Tuesday afternoon.